A native of Quincy, IL, “The Commish” joined the Post-Dispatch staff in 1971. Hummel quickly rose to the upper echelon of respected baseball writers and was nominated for the Pulitzer Prize in 1980. In 1994, Hummel was elected by his peers to serve as President of the Baseball Writers’ Association of America (BBWAA). The three-time Missouri Sportswriter of the Year (National Sportscasters & Sportswriters Association) was inducted into the writers’ wing of the Baseball Hall of Fame when he was honored with the prestigious J.G. Taylor Spink Award in 2007. Hummel was later inducted into the Missouri Sports Hall of Fame in 2008 and the St. Louis Sports Hall of Fame in 2013. Hummel still covers the St. Louis Cardinals and also writes a weekly column covering Major League Baseball for the Post-Dispatch and stltoday.com. He also serves on the Veterans Committee of the Baseball Hall of Fame and is a key leader on the St. Louis Baseball Writers’ Association Dinner Committee. Hummel is the author of three books: (Tom Seaver’s Scouting Notebook written with Tom Seaver and Bob Nightengale (1998); The Commish and the Cardinals: The Most Memorable Games, as Covered by Hall of Famer Rick Hummel for the St. Louis Post-Dispatch (2007); One Last Strike: Fifty Years in Baseball, Ten and a Half Games Back, and One Final Championship Season, written with Tony LaRussa (2012). 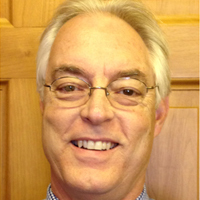 Derrick Goold is an award-winning reporter and baseball writer who has covered the Cardinals for The St. Louis Post-Dispatch since 2004. He was elevated to lead Cardinals beat writer in 2012. Goold was elected Vice President of the BBWAA in 2015 and served as President of the writers’ association in 2016. 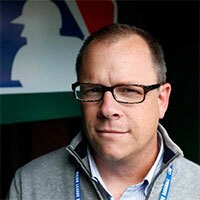 Goold has been a contributor to Baseball America since 2005 and has written for numerous national magazines and several collections. He writes one of the first and most widely read newspaper-based baseball blogs, “Bird Land” on stltoday.com, is a frequent contributor to local radio shows and MLB Network, and is the host/producer of “The Best Podcast in Baseball.” Goold is one of the best in the business at balancing the traditional requirements of sports journalism with the around-the-clock contemporary multi-media (print + video, radio, social media) demands. Goold, who grew up in Colorado, previously covered LSU football, baseball and women’s basketball at The Times-Picayune in New Orleans (’97-’00) and covered the Nuggets, Avalanche, and Rockies for The Rocky Mountain News (’00-’01). Goold is a graduate of the University of Missouri’s School of Journalism and recipient of the Jack Buck Scholarship which is funded by the St. Louis BBWAA Foundation. Goold lives in St. Louis with his wife Erika and son Ian and is the author of “100 Things Cardinals Fans Should Know & Do Before They Die” (2010, 2012). Myron Holtzman, a longtime sportswriter and member of the BBWAA, is the former sports editor of the St. Louis Globe-Democrat. After the newspaper ceased publication, Holtzman worked for the Sporting News and for the Associated Press. In 1993, he joined Anheuser-Busch as publications manager for the St. Louis Cardinals, editing and designing the Cardinals Magazine (later Gameday Magazine) in addition to the Cardinals’ yearbook. Before retiring from the brewery in 2004, he also worked in the PR department and contributed his editorial skills to several publications. Holtzman is now a freelance communications specialist, editing and writing books, newsletters, and articles for various publications. He is chairman of the St. Louis Baseball Writers dinner and also serves as PR director for the St. Louis Sports Hall of Fame. He also co-authored “The Cardinals of Cooperstown (2014)” which is in its second printing. In 2018, Holtzman was honored with inductions into the Missouri Sports Hall of Fame and the St. Louis Jewish Sports Hall of Fame. 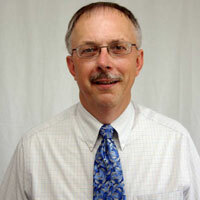 Gietschier joined The Sporting News as their Staff Archivist and Librarian in 1986. He converted a “100-year-old” chaotic collection of books, periodicals, photographs, index cards, clippings, and a variety of other materials and media into the Sporting News Research Center; one of the outstanding sport-special libraries, especially baseball, in the United States. He also wrote the annual “Year in Review” essay in the Baseball Guide and edited the Complete Baseball Record Book for five years. Warren Mayes covered the Kansas City Royals for the Springfield News-Leader from 1980 to 1984. As a sportswriter for United Press International and as sports editor of the Alton Telegraph, he covered the St. Louis Cardinals from 1984 through 2001. As a free-lancer for the Associated Press and West Newsmagazine in St. Louis County, he continues to write about the Cardinals. As the first female to cover the Cardinals full-time, Langosch is a history-maker. She has been the Cardinals beat writer for MLB.com since 2012 after covering the Pirates for MLB.com from 2007 to 2011. Langosch is a frequent contributor to Cardinals Magazine and was a frequent contributor to Pirates Magazine. 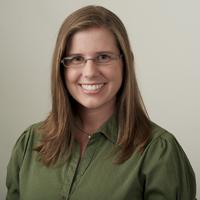 Langosch is a graduate of the University of Missouri-Columbia Gannett School of Journalism where she covered various high school and collegiate beats for the Columbia Missourian, Springfield News-Leader and Inside Mizzou Magazine. She was the National Hearst Award winner in sports writing in 2006. She has been a part of the St. Louis Baseball Writers’ chapter since 2012. Ostermeier has been a member of the BBWAA since 1991 and has written about the Cardinals for the Belleville News-Democrat for nearly three decades. He has been chairman of the St. Louis Chapter of the BBWAA for many years and is a guiding and influential member of the committee that plans the Writers’ Dinner annually. In 2014, Ostermeier was honored with first-place sports column awards in Illinois from the Associated Press and Illinois Press Association. 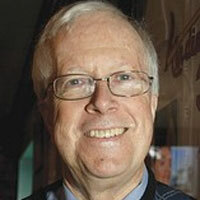 Rains has been writing about sports in St. Louis and nationally for more than 30 years. He is now operating a website covering all St. Louis sports, stlsportspage.com. Rains is a former Cardinals beat writer for the St. Louis Globe-Democrat and covered the National League for USA Today Baseball Weekly. 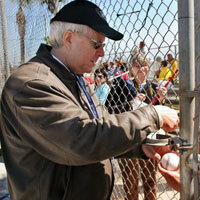 He is a lifetime member of the Baseball Writers Association of America, joining the BBWAA in 1979. He also is an adjunct professor in the school of communications at Webster University and was honored with induction into the Missouri Sports Hall of Fame in 2018. He is the author of 31 books, including his latest, Intentional Walk, an inside look at the faith that drives the St. Louis Cardinals. Among his other books are biographies or autobiographies of Jack Buck, Tony La Russa, Mark McGwire, and Ozzie Smith. 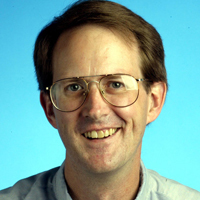 Timmermann joined the Post-Dispatch staff in 1996 and has covered baseball, among other assignments, since then. He became a BBWAA member in 2005. Prior to coming to St. Louis, Timmermann, a graduate of UCLA, worked for the Los Angeles Herald Examiner and the Los Angeles Daily News, covering college athletics. In his career, Timmermann has covered a wide array of sports, from America’s Cup yachting to World Cup soccer. He has covered four World Series’ and four World Cup soccer tournaments. 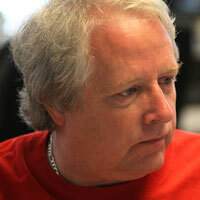 At the Post-Dispatch, he has also covered the Blues, St. Louis University basketball and international soccer. 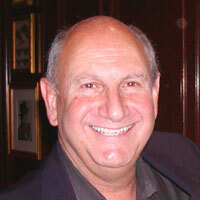 Bernie Miklasz is the lead personality at ESPN 101.1 FM. His station-leading show is a ratings game-changer and his daily blog and news posts have elevated the station’s voice on the St. Louis landscape. Prior to leaving newspapers for radio, Miklasz was an award-winning columnist for the St. Louis Post-Dispatch since 1989. Miklasz was viewed around the industry as not only a leading voice on baseball and football but an innovator when it comes to utilizing new media to reach readers and offer insight. He was one of the first sports writers to host a forum on a newspaper web site and one of the first to cross over into a successful radio career; which he held simultaneously with his print responsibilities. Prior to joining ESPN 101 full-tim, he had hosted shows on KMOX and ESPN, while also helping to establish the first podcast of any type for The Post-Dispatch, the Best Podcast in Baseball. Miklasz is a ubiquitous and constant content-generator and he has been honored by Editor & Publisher magazine for being a pioneer when it comes to using video, blogs, and columns to create a perpetual churn of coverage through a paper’s web site. 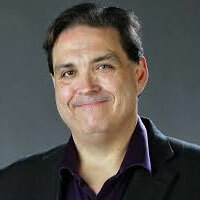 Miklasz is a native of Baltimore, MD and moved to St. Louis in 1985 to cover professional football for the Post-Dispatch. He has also worked at the Baltimore News-American and the Dallas Morning News. He is one of the few writers in the craft who votes for both the National Baseball Hall of Fame and for the Professional Football Hall of Fame. He also votes for the Heisman Trophy which is symbolic of college football’s top player. 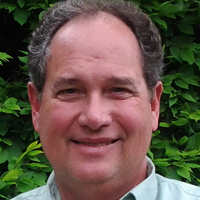 Ben Frederickson returned to the Post-Dispatch as an online sports reporter and columnist in August, 2015. After interning at the Post-Dispatch in 2011, Frederickson covered the Wyoming Cowboys for the Casper Star-Tribune, was a regional writer for Fox Sports Midwest covering St. Louis market professional teams and covered the Tennessee Volunteers for the Knoxville News Sentinel. 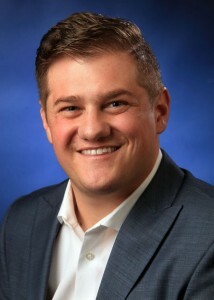 Frederickson is a 2012 graduate of the Missouri School of Journalism. Frederickson is originally from Sedalia, Mo. He became the first Rick Hummel intern to be hired by the paper full-time. 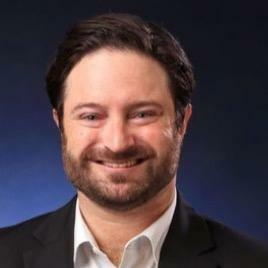 Benjamin Hochman returned to his hometown as the sports columnist for the St. Louis Post-Dispatch in September, 2015. Prior to the Post-Dispatch, he served in the same capacity for The Denver Post. He also was a beat writer for the Post covering the NBA’s Nuggets. Hochman has finished among the top 10 in The Associated Press Sports Editors’ (APSE) national sports writing awards numerous times. In 2015, after only his first full year as a sports columnist at The Post, he finished in the APSE’s top 10 for column writing. Hochman previously worked for the New Orleans Times-Picayune, and wrote the Katrina-themed book “Fourth and New Orleans,” published in 2007. A graduate of the Missouri School of Journalism, Hochman has covered numerous major sporting events, including the Super Bowl, the NBA Finals, the BCS Championship Game and the 2008 Beijing Olympics. 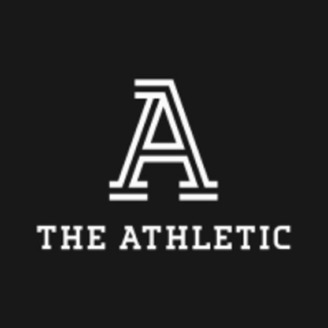 Mark Saxon covers all-things St. Louis Cardinals for the online sports website, The Athletic. Previous, Saxon was a baseball writer at ESPN.com from 2009 to 2017. In early 2016, he moved back to his hometown of St. Louis to cover the Cardinals and, on other occasions, other baseball teams and topics. He previously worked at the Orange County Register and Oakland Tribune. A Parkway Central grad, Saxon got his undergraduate degree from UC Santa Cruz and received his master’s in journalism from UC Berkeley. 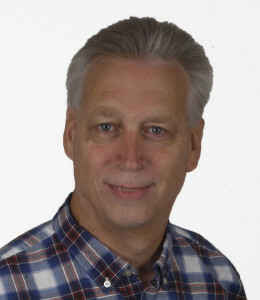 David Wilhelm has been a Cardinals reporter for the Belleville News-Democrat since 1995 and has covered 28 playoff series, including four World Series. He has been a member of the BBWAA for 21 years and is a voter for postseason awards and the Hall of Fame.